building and sustaining Hospice care in our community. stewardship of financial and human resources. Bilingual in French & English an asset. Our 3rd annual Hike for Hospice will take place on Sunday, May 5, 2019 at Mud Creek Trail in Chatham. We are organizing this fun, family-friendly event to support the ongoing operational needs of Chatham-Kent Hospice. 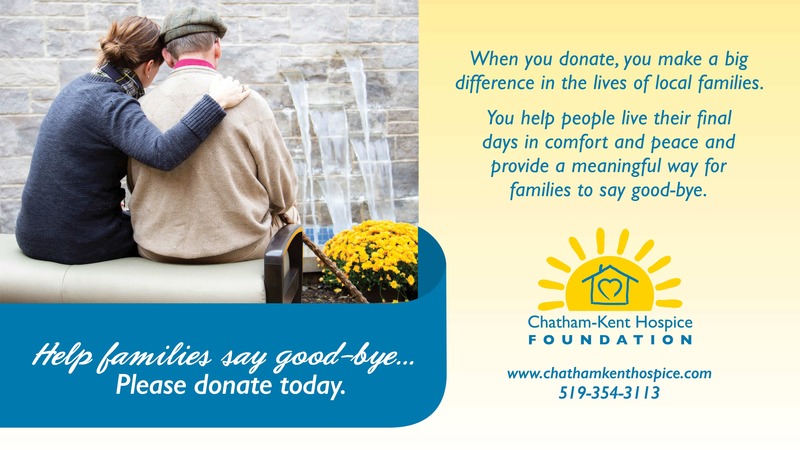 Tour the Chatham-Kent Hospice in this video walkthrough. If you’d like to make a donation in memory of a loved one, please click here. Click here to see the full list of in memory donations.